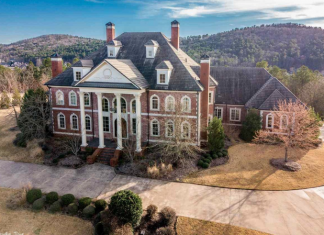 This stately brick home is located at 10 Valley Crest Court in Little Rock, Arkansas and is situated on over 4 acres of land. 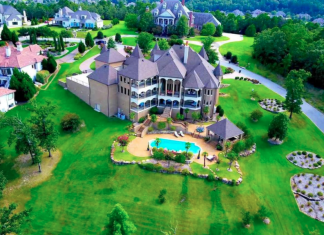 This mansion is located at 5229 Saint Andrews Drive in Fayetteville, Arkansas and is situated on 1.4 acres of land overlooking the 5th, 6th & 15th holes of Blessings Golf Course. This 3 acre estate is located at 3487 N Horse Meadow Drive in Fayetteville, Arkansas. It was built in 2016 and boasts a main house and guest house. 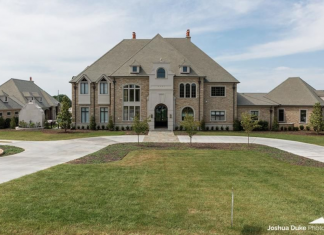 This brick & stone mansion is located at 7 Valley Crest Court in Little Rock, Arkansas and is situated on 1.6 acres of land. This Spanish style lakefront mansion is located at 6530 Westminster in Benton, AR and is situated on an acre of land.